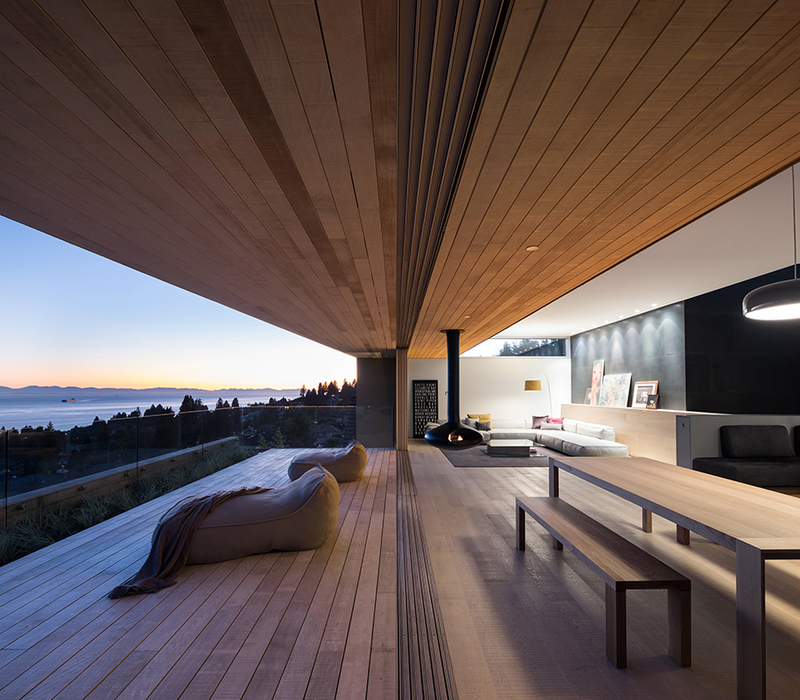 The G’day House was purpose designed and built for an expatriate family to bring Australian style to their new home in West Vancouver. 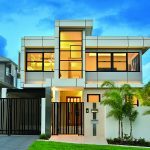 This expat Aussie family wanted their new home in Canada to help them reconnect with and support the relaxed attitude toward daily life that is a pretty essential part of being Australian. 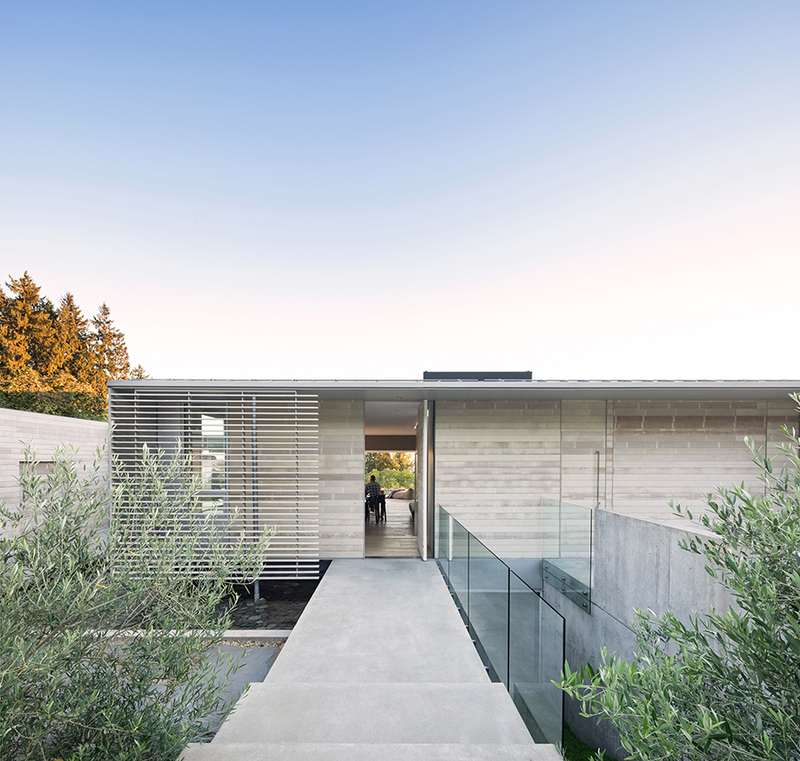 Spanning 4,400 square feet over three levels, the G’day House by McLeod Bovell Modern Houses is a triumphant feat of modern design, with ample natural materials such as stone and timber marrying perfectly with clever semi-arid landscaping. Materials, form and space have been thoughtfully balanced to evoke the feeling of a beach house – a simple, casual and flexible vibe. The use of column-free sliding doors at the southeast corner of the house doubles the size of the living area when open, giving indoor and outdoor spaces equal priority. 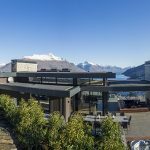 With the deck fringed by scrubland, glass fencing was a stunning choice, creating the feeling of endless nature space and providing unobstructed views from the deck to the bay in the near distance. 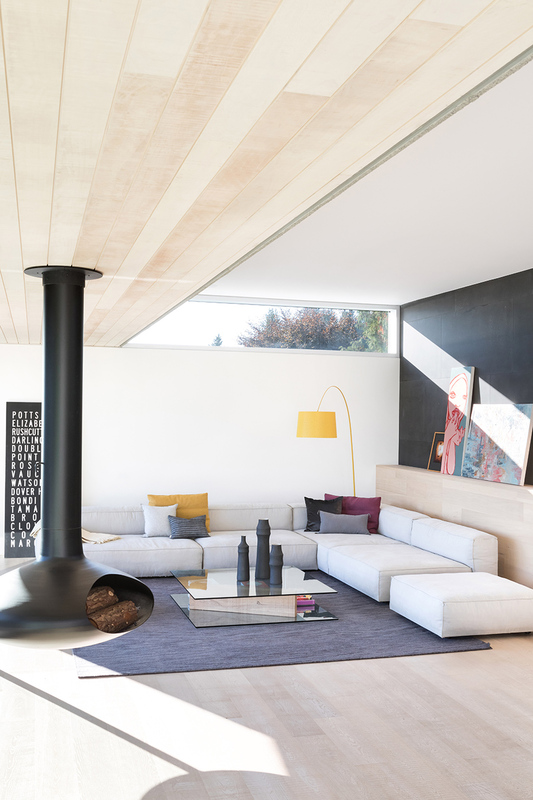 Depending on the weather and the number of guests, the dining table and wood-burning fireplace can both be rotated into a variety of placements so that even when the temperatures drop, guests can enjoy the landscape and views. 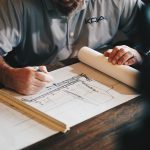 As avid entertainers, the homeowners requested that the kitchen anchor the primary living spaces on the upper floor, so the dining room and kitchen were combined into a single, long space. 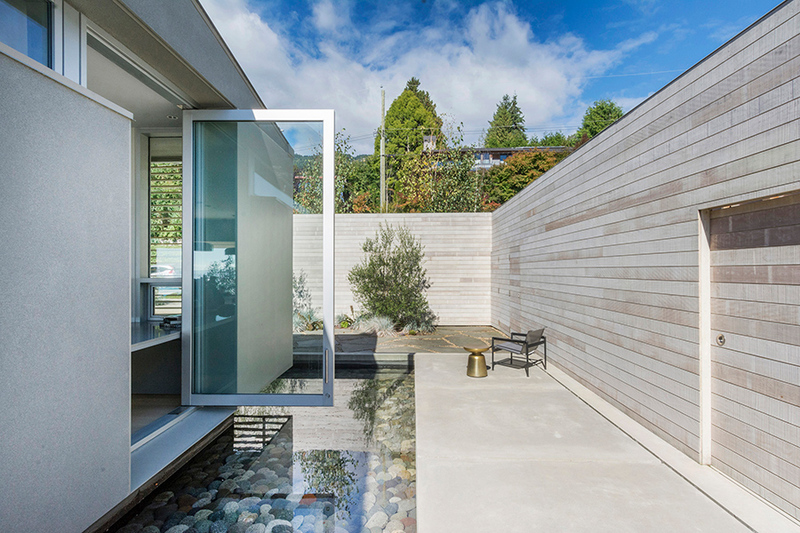 This design decision allowed for a generous side-yard area used for outdoor cooking. Adjoining this outdoor entertaining area is an elegant reflecting pond with an elevated pathway surrounding it, connecting to the front of the house. 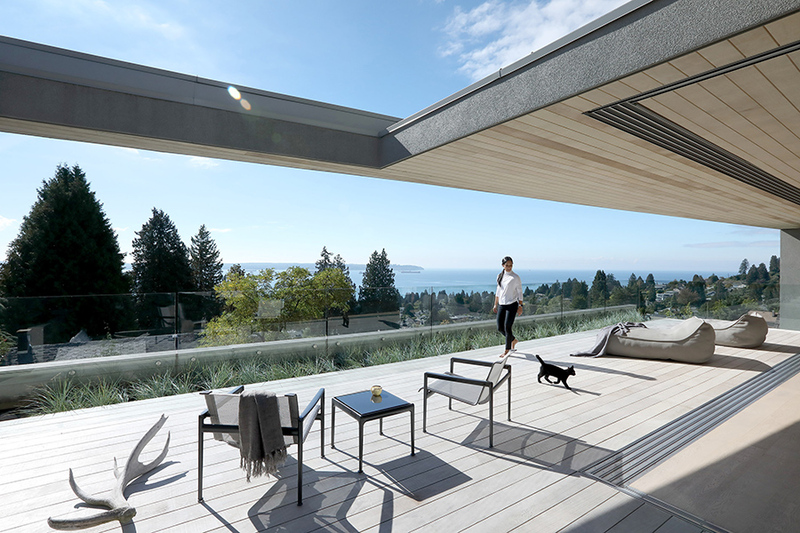 This sequence of outdoor spaces from the front yard to the outdoor deck encourages guests to enter directly into the main entertaining space dominated by the sleek open kitchen. 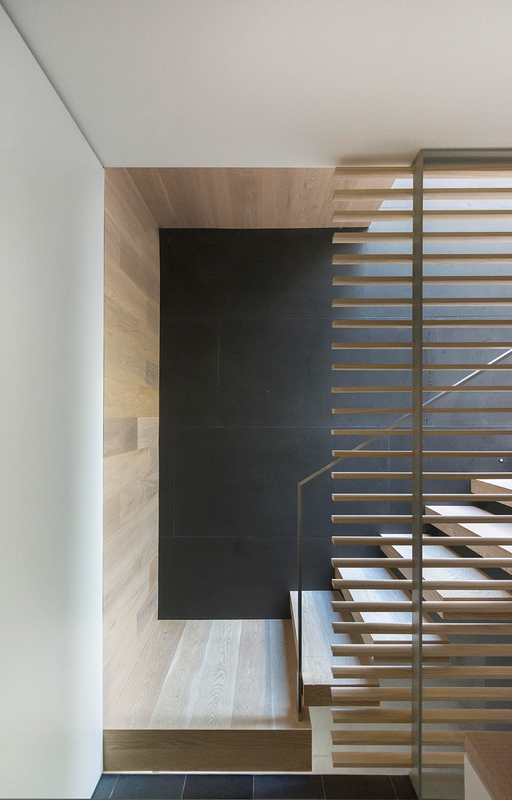 The interior spaces of the G’day House are clean, minimal and soothing, using natural materials such as timber flooring, slate and stone to blend seamlessly with the outdoors. 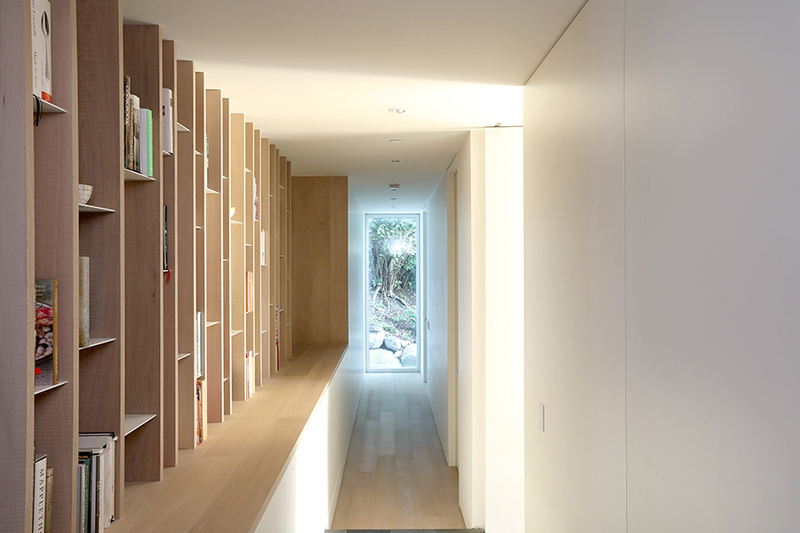 Floor-to-ceiling glass enhances this effect, while a built-in timber bookshelf with shelving at varying heights and segmented into columns echo the unpredictability of nature while adding an interesting design element. 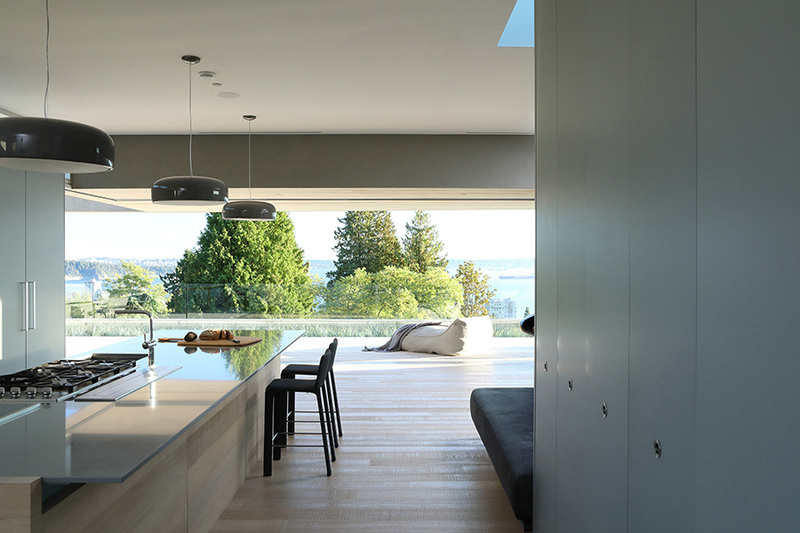 With McLeod Bovell’s design ethos revolving around spatial experiences and skilfully executed idiosyncrasies, they were a fulfilling choice to create this home away from home.